Hi, me, back. Sendin’ a virtual wave to ya. How are things? Good? I’m glad. Oh, me? I’m alriiiight. To be completely honest, things have been a little quiet around here at the moment, because third year at University of Birmingham has hit me like approximately sixteen tonnes of bricks. My brain is proving incapable of thinking about a range of things at once: I’m either constantly brainstorming for the blog, and momentarily forgetting my degree exists, or I’m writing my diss like a madwoman on speed and neglecting all my other modules and essays. I’ve not learnt all that much from this degree, but one lesson I’m sure to take away is that university is a juggling act. And when you chuck too many balls into the equation, ya end up droppin’ all of ’em. So in order to escape from the stress of all things university, I’ve often found myself recently daydreaming. And daydreaming of what, I hear you ask? Well, it’s this very night in Paris. It was a Monday evening in September, and Paris was experiencing a heatwave. For someone who thought she left summer behind in about June as she left Lanzarote, this surprise that awaited me when I arrived in Paris was an absolute joy. 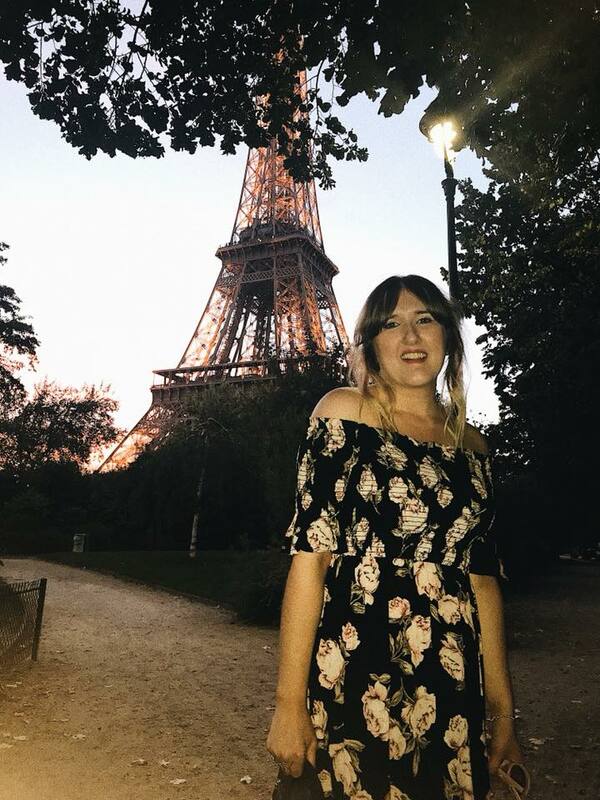 During the day, I’d eaten some scrummy food, explored Parisian sights and topped up my tan, as well as facing my fears and heading up the Eiffel Tower: one of my favourite memories, ever. It was my second time in Paris, and it was just as magical, romantic and all-encompassing than the first visit. Paris is my favourite place, full stop. And I don’t think that is changing anytime soon. 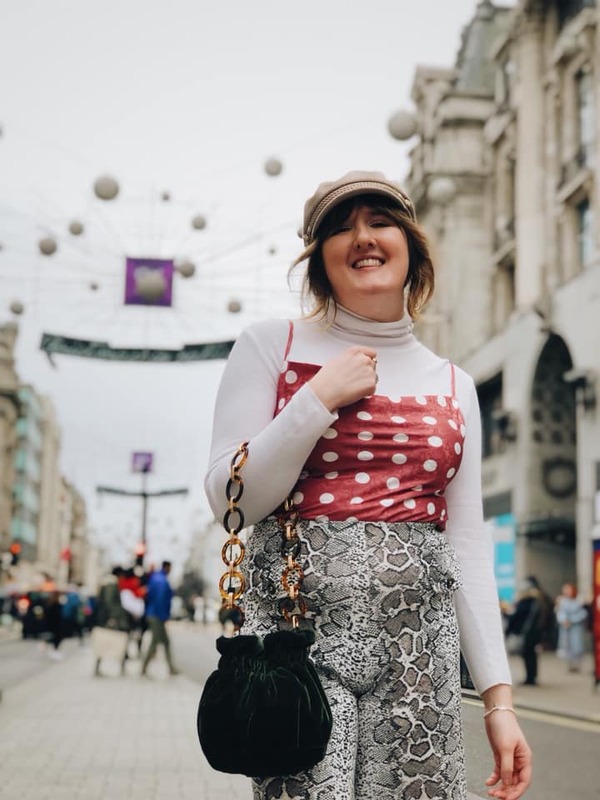 So that Monday evening, I popped on the Topshop floaty summer dress that I had been ready to throw into a drawer for hibernation over the cooler periods, and I headed out with my boyfriend to the Eiffel Tower for dinner. We visited one of my favourite streets, Rue de l’Université, which has an incredible view of the Eiffel Tower, yet is serene and empty, and is perfect for any happy tourist snaps, and got some pics for a blog post quickly. An American tourist ambled up to us and asked if it would be possible if we could take a photo of him. We agreed, took the pics and then he immediately asked if we wanted one as a couple. He took the sweetest shots that I now have pinned to my noticeboard at uni, and he then proceeded to tell us all about where he was from (Boston) and why he was in Paris (he loves the romance of the place). It’s strange how encounters like that, with people you’ll never meet again, stick in your mind as part of the fondest memories. After taking photos, we wandered, against the backdrop of the setting sun, to our restaurant for the night, which you can read about properly in my Guide to Paris. With delicious food and a view of the Eiffel Tower sparkling right before us, I felt the most relaxed, content and happy I’d been all summer. We then sat down in Champ de Mars park and got very drunk over a bottle of wine, or two. It was perfect. There was a bittersweet feeling in the air on our trip to Paris; it was tangible. We felt nothing but pure happiness to be back in our favourite city on earth, but there was that feeling you get when you know summer is coming to a close. I was trying to grasp Paris in my hands, savour every moment and take it with me, but it kept slipping away. I knew soon it would be time to head home and enter the terrifying 3rd year of my degree. Sam would head back to Bristol, and it would be back to the long ol’ distance relationship. But these moments captured in these photos are the reason I keep daydreaming of Paris. These photos capture the absolute happiness and utter carefree feeling I had being in my favourite place on earth, with nothing but joy to look forward to. And I keep longing to be free of deadlines, essays, hard work and stress- just for a minute- so I can completely feel this way again. But there’s another lesson that this year has taught me so far: it’s okay not to be on top of absolutely everything at absolutely every minute. Yes, university is incredibly stressful but if I’m honest, the reason why I’m wishing for Paris so damn much is because I put a helluva lot more pressure on myself than needs be. If I’m not bossin’ my diss, essays, reading lists, social life and blog all at once, in my eyes, I’m failing. And it took this morning, whilst I was walkin’ onto campus, mahoosive aviator jacket, scarves and hat wrapped around me in an attempt to keep out the chill, watching the leaves fall from the trees, that I realised I’ve spent this semester so far either wishing my life away, or stuck in moments from the past. It’s November. Already. The year has flown by- my last Autumn at university is fluttering away with the brisk wind. I’ve had some of the most magical memories of my life so far this year, but it’s not been without some of my trickiest times. But life is a loop-de-loop rollercoaster ride on repeat. And the repeat is a good thing, because it means although things might be stressful now, there’s gon’ be those pure happiness moments in Paris again. And if we didn’t have the tough times, we wouldn’t savour and cherish the good. There’s plenty of things to be happy about right this moment, even when things might be stressful. I’ve got some exciting plans *hopefully goin’ ahead* next year, Christmas is slowly approaching (aka the time of year I stuff my face sans guilt) and although university is tricky, I’m enjoying this year more than I ever have before. Life’s good, I’m content- it’s just stressful. But I wouldn’t have it any other way. So goodbye Paris- I’ll cherish your memories, but I won’t spend each day wishing I was back with you anymore.